To manage crowds, Disney has been constructing a bypass for Main Street USA. 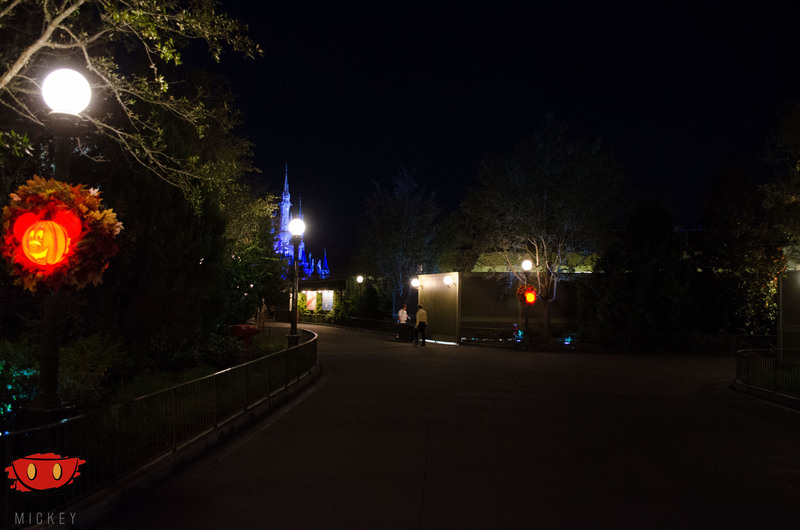 Running behind the East side of Main Street, the bypass runs from near Tony’s Town Square Restaurant to near the Tomorrowland Terrace restrooms as seen below. Only open during high traffic times, the bypass has a nice, park-like feel with theming consistent with the rest of Main Street and the Hub. We recently got to walk through it and grab some nighttime pictures.